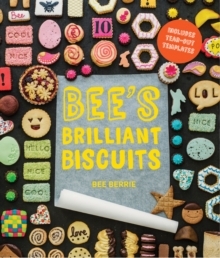 `This vibrant little book is bursting with wow factor inspiration - Vegetarian Living magazine, June 2017The brains behind Bee's Bakery (`London's Top 5 biscuit bakeries' - Evening Standard), Bee Berrie is an ex-microbiologist who swapped bacteria for baking in 2012. Bee's second recipe book Bee's Adventures in Cake Decorating, is a bold, fun, easy-to-follow cake deco compendium packed full of over 30 recipes. 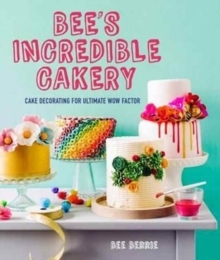 Including recipes for brilliant cakes and frostings, from Bee's favourite vegan banana cake, to her punchy Jamaica ginger cake, with countless options for creating gluten and dairy free variations on both cake recipes and frostings, including a fantastic vegan chocolate and avocado icing recipe that just has to be tried! 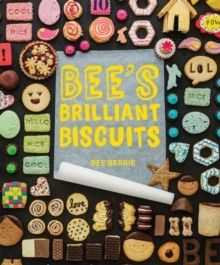 Since launching in 2012, without any external funding or loans, Bee has built a thriving, resilient small business and now supplies clients including Selfridges, Topshop, ASOS, Harrods and Daylesford organic.